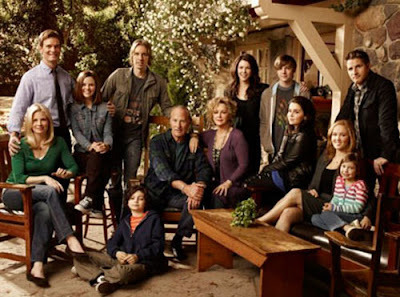 After watching what I think may have been my favorite episode of Parenthood yet, I decided to make a list of my favorite characters from the TV show in this season. And sorry Alex, but since it doesn’t look like you’ll be coming back, you didn’t make it. 12. Mark – The fun-loving teacher turned lover fuels the awkwardness that Sarah lives in. 11. Rachel – It’s nice to have a temptress for Adam and Crosby and me to fawn over. 10. Adam – The show’s protagonist by far, he has to hold the rest of the cast together with string and duct tape most days. 9. Camille – Holly Gennaro from Die Hard is a grandmom. Yeah. It blew my mind too. 8. Sarah – The mom who constantly asks her daughter if she’s doing it right really sells it. 7. Zeek – The grandpa we all have. You understand where he’s coming from but wishes he understood you. 6. Haddie – Texting her friends, but knowing how to call her parents on their bologna, she sells the teen girl routine with perfection. 5. Crosby – We love him even though he continues to be the most self-destructive of the cast. 4. Joel – The stay-at-home dad who can stand up to the rest of the family and his wife and his daughter and always seems to know the proper mix of salt and saccharine to use. 3. Amber – The other half of the Sarah/Amber fast-talking sarcasm comedy duo, she has a brain and wit and timing and cares about real things too. 2. Christina – The unsung hero who has the most to juggle with an autistic son, a teenage daughter, a newborn, a new job and a husband just starting a new business venture with a hot female assistant who kissed him, she holds down the emotional end of the show. 1. Zoe – The interaction between Julia and her future baby biological momma comes to life thanks to Zoe’s sarcastic teenness. Thank you so much for creating this list because with the hectic holidays and my own loving and dysfunctional family, I forgot that the season had not finished yet! Luckily, I work for DISH so I know I can find all of the episodes I missed on DISHonline.com. So without having seen the last 4 episodes, but having seen every single one since the pilot, I have to say that my top 3 characters are as follows: Camille because after being married to such a stubborn man for so long and raising such diverse children, she still smiles and has a sense of humor and love for art; Joel because he has that same sense of patience and caring that Camille has (it can’t be easy being married to someone as headstrong as Julia; and Crosby because he’s a bit of eye candy with a sense of humor, and his ability to make mistakes without even trying makes him impossible not to love. Thanks again, Mr. Fisher! Thanks for your comment, Denali. Glad you enjoyed it and you should really catch up on the last 4 episodes. I’ve had to chop a lot of my television addiction out of my schedule recently, but I was unable to cut Parenthood out of my viewing schedule. Thanks again and enjoy your day!